Online presence is crucial in today’s business environment. Every company needs a home on the web – no matter how large or small your business may be. Your website is a great place to share your business story — with the potential to reach millions of people! When your website helps people get to know you, it builds trust in your business and begins to build a relationship that encourages them to buy your stuff. When it’s about selling online, Ecwid’s got you covered. 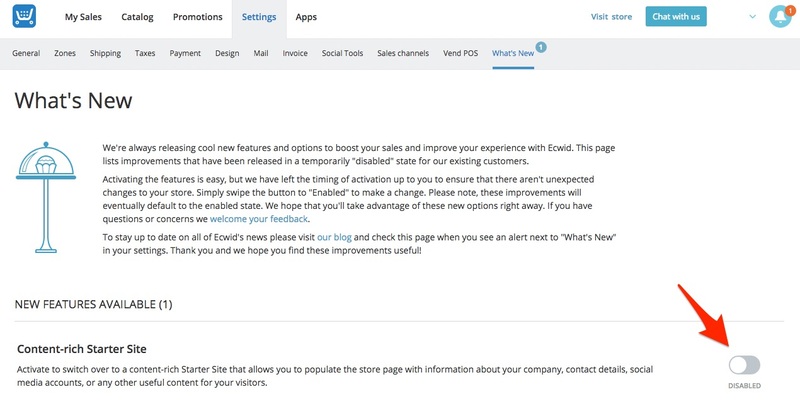 Your Ecwid store can be added to any website, no matter how or when it was built. If you don’t have a website yet, there is a free feature in Ecwid — the E-commerce Website — that was created so that you have a home on the Internet to sell your goods. Now, it’s also a place where you can tell your story. We’ve made it easy to personalize for your brand and it’s fully hosted, secure, and maintained by Ecwid. The really great news is that we’ve completely refreshed the look and added powerful communication features. 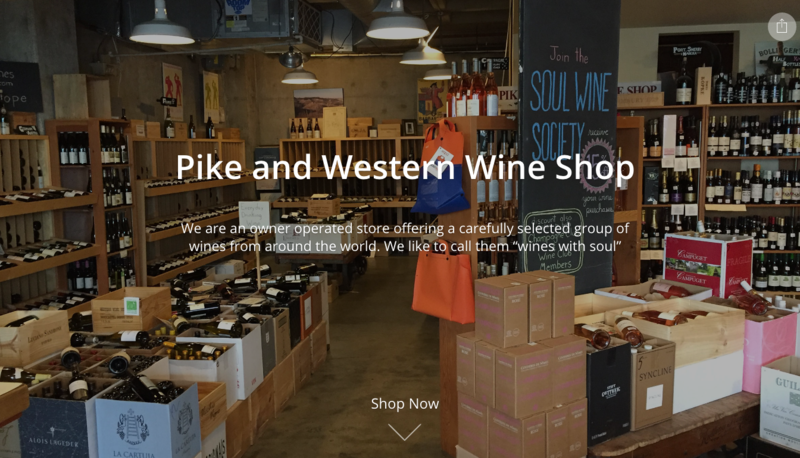 Now it’s not just a place for your storefront: the Ecwid E-commerce Website can be expanded into a beautiful one-page website that will tell your story, impress customers with a great first impression, and get them involved with your brand. Customizable content blocks and images let you create a unique website. Edit and update your site content as often as you like, no coding required. Professional and responsive design makes your site look great on any device. If you are looking for a quick and powerful solution to help you stand out online, read on to learn the details about using the new Ecwid E-commerce Website. What’s the New E-commerce Website All About? Now, the E-commerce Website is your place on the net to create a professional look and demonstrate all the strong points of your business. It allows you to present your business to customers from the best angle using easily editable content blocks and selected images. Our intention is to help you make a great first impression with your customers from the moment they land on your site. Helping you share your unique story and breathing life and personality into your online store. The cover is a full screen picture with space for your store’s name and a short description of what your business is about. You can add a photo of your team, your product, or an impressive picture that represents what you do. This image can be changed anytime to keep your site fresh, promote sales and events or showcase new products. The Product block is your Ecwid store and sellable contents. This section was the original site and we’ve left it unchanged for customers who like things just the way they are. The Why Choose Us block is where you can share your product details and benefits to buying from you over competitors. The Customer Feedback block is a place to share a customer’s testimonial about your products or business that helps your website look trustworthy to new shoppers. The About Us block is there to help you share your business story and to build a relationship to create a connection with your site visitors. The Location block if you have a physical location this block allows you to share your brick and mortar details. When you populate your address your info is automatically shown on Google Maps. The Contact Us block is there to help customers get in touch. You can provide your phone number, email and social links for quick communication. If a block contains no information, it will not be shown to your visitors. Hide any block whenever you like — for example, if you don’t have a brick-and-mortar store, you may not need the Location block. Watch this video tutorial by our friend, developer, and Ecwid enthusiast Daniella for step-by-step instructions. Ecwid E-commerce Website is a fast, free and feature-rich solution to get a home on the web for your business, that is fully hosted, secure, and maintained by Ecwid. Selling on the new Ecwid E-commerce Website will help you to tell your business story in a remarkable way and ultimately sell more products — and all this with no coding required. Let your customers know all the necessary information about your company in an easily accessible format updated to reflect the latest online design trends. Change the content whenever you like, enjoy the responsive design and build a successful online business. Or any other site builder, CMS or a website platform you choose. Remember, Ecwid stores are easily embedded to any website. If you have questions, please feel free to leave them in the comments section below or ask our Customer Care team.